This knitted polyester American Car Flag is a great way to proudly display your patriotism on the go! This Patriotic car flag kit comes with a staff for clipping onto your vehicle. 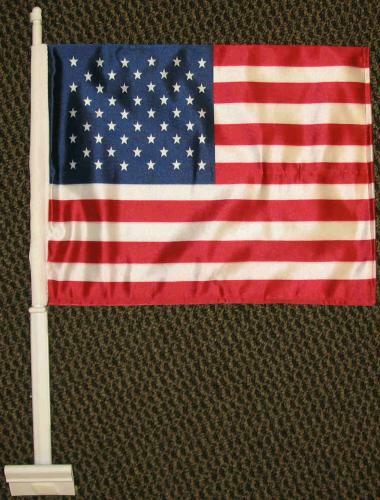 Our American flag for vehicles is great for Memorial Day, the Fourth of July, or every day of the year!